I've always wanted a 1911 and this pistol has positive reviews for an entry level 1911. 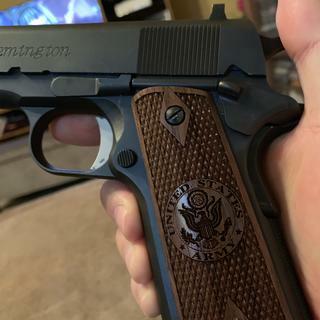 I have always liked this gun, and after seeing it on the local news where they were talking about the Remington plant here in Huntsville manufacturing this gun, I decided to buy it with the "Huntsville, AL" engraved on the gun. Also I was told by Tom on "Chat with us" that the gun I ordered would have the "Huntsville, AL" engraved on the gun. Wanted on for a while, great gun great price! 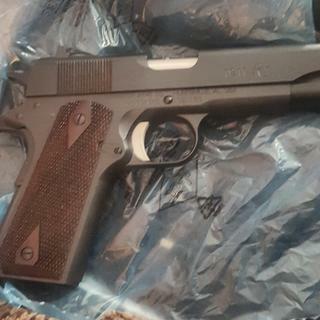 hoping this will be a better quality 1911 than what ive bought in the past. I recently went to a gun show and purchased .45 ammunition, but without anything to shoot it through. I used to have a 1911 and this was a very nicely priced gun. Brand name, price, and recommendation of Grab a Gun from friend. In that order. 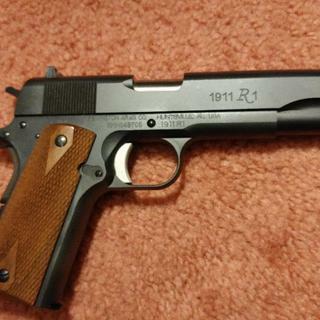 AFTER RESEARCHING ALL OF THE AVAILABLE 1911 45 CALIBER REPLICAS & RETROS I DECIDED THAT THIS REMINGTON 1911 R1 WAS THE BEST COMPROMISE FROM ALL OF THE REVIEWS I READ FOR MY PURPOSES OF HAVING WELL BUILT 1911 FOR THE MONEY WHICH WOULD REFLECT THE ORIGINAL GI 1911 , FIRE RELIABLY , & THE CONVINCING FEATURES WERE THE FRONT & REAR DOVETAIL LARGER 3-DOT SIGHTS , TIGHT FIT CONSTRUCTION , COMES WITH 2 MAGS , STAINLESS BARREL & BUSHING , & CHECKERED WOOD GRIP PANELS . Gift for M1 tank crewman for 21st birthday. Cheaper than the SA Mil-Spec. I've always wanted one and the price can't be beat. 5 star review/rating, cost, reliability, iconic look. It’s a great gun at a great price! I was able to purchase this pistol at a lower price than my distributors have it listed. Always wanted a 1911, this one had a great price. Quality Pistol at a fair price. And you make it easy. 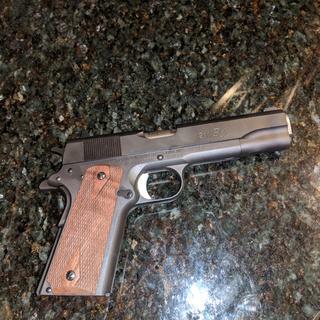 Very good price on this Remington 1911. Quality of firearm and price. 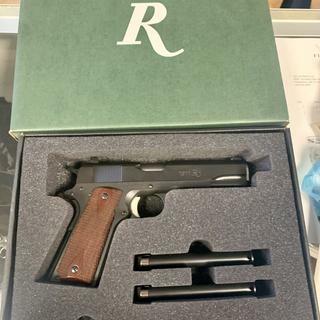 Reputable manufacturer and good price for a Model 1911. Good looking firearm as well. I recently purchased a R1 stainless and love it. So when I saw this R1 on sale for $469.00 I could not pass it up! 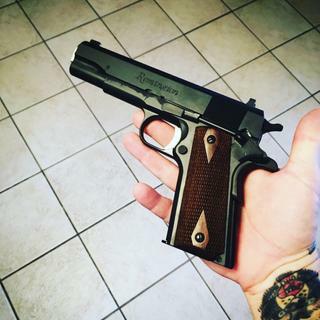 Looking for an affordable 1911 45acp that shipped with 2 mags. Remington has a good reputation and backs their products. GrabaGun and Remington compliment each other with excellent customer service. 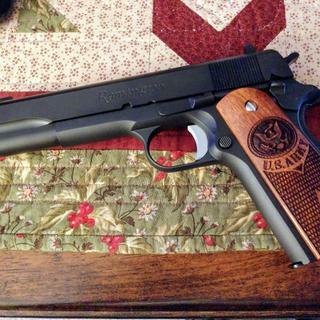 Carried a 1911 in 1969/1970 while in service. Have wanted one since. 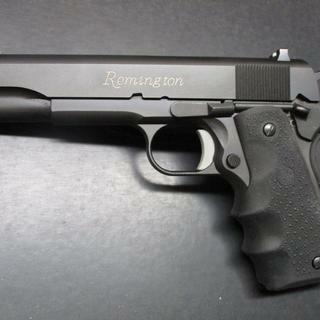 Thought the Remington 1911 R1 to be a good value, and I am looking forward to firing a .45ACP after all these years. Great gun at a great price ! Great price & great value for an iconic weapon! Nice pistol. I am pleased with mine. Goes bang everytime that I pull the trigger. Fairly accurate. Grabagun is great seller. Shipping was fast. Yes, if you mean or are asking whether it has the added 'safety feature' firing pin stop. Pistols is not a Series 70 in that respect. Thanks for the reply. I am not a fan of Series 80 guns, but for what I will be doing with this, it's okay. I am shocked at the price from Grab A Gun. I shopped. No one is even close. I ordered it! If the collet bushing is any indication, it is series 80. It's the solid bushing. BEST ANSWER: Yes . I think they made them in para ordnance's facility. Mine is accurate and has very tight machine tolerances. The only thing I don't like is the sights are machined to a proprietary dimension. So after market adjustable sights are hard to find. Mine says made in Huntsville, Al. There is some questions out there as to whether not not all the parts are made in US. Articles are all over the place. Yep made in USA and a best buy value, IMHO. They are made in Huntsville Alabama.. Yes it is. In Huntsville, Alabama. I'm a Colt snob. 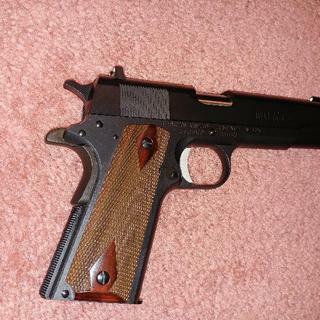 With that said, if you are looking for a well made, entry level, 1911- this gun is for you. The price is great and it's a good shooting gun. Looks nice too. Very nice Government model. Out of the box, oiled it and went to the range. Took a little care and feeding to start but after 4 3-round mag loads, the R1 worked perfectly, 7-round mag after 7-round mag including multiple brands of mags and ammo. About on par with my MILSPEC Springfield. Excellent gun. Accurate & reliable no matter what ammo I tried. Fit & finish very good. I would highly recommend this gun. 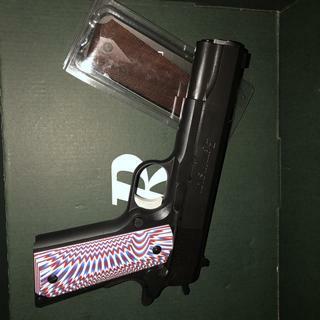 i love shooting this firearm it was priced right fast delivery can't go wrong buying this from Grabagun.. 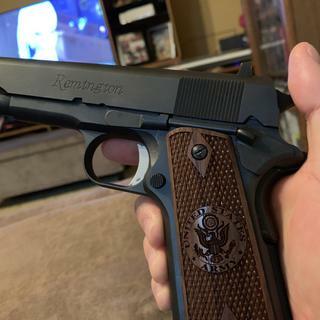 I really like my Remington 1911 R1. Only a couple of boxes of ammo through it no issues! Love my Remington R1 from Grab-a-Gun! Can't beat your prices & super fast shipping! Will be back for more! The price was affordable. The look is pure 1911. Shooting it was more enjoyable than I remember from my previous 1911. I was not as experienced a shooter back then. I think I'll keep this one for a while and we'll have more visits to the range. Great price, great looking gun! Love it. Best price anywhere. Made right down the street from us as well in Huntsville. 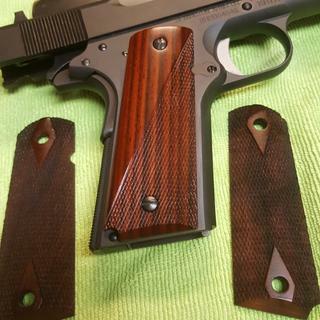 This is a great, affordable 1911. The form factor and performance will be familiar to anyone who's shot a 1911 before and it fires accurately whenever you need to put a few rounds through it. The only downside is the internals can be a little finicky and so it's worthwhile to convert from the series 80 to series 70. All in all a great gun for the money. Fantastic starter 1911 to own! Enjoying my Remington 1911 45ACP ! 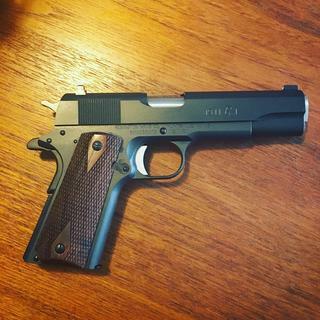 Truly enjoy my new Remington 1911 45ACP. Added a Hogue tactical finger grip then filled in the lettering on the slide with a gold colored nail polish to add to the appearance of the pistol. Thank you GrabAGun for a smooth purchase transaction and great customer service along with affordable pricing. This is my third R1. Two stainless and one blue/black..... The casting marks on the bottom of the frame look bad in a few spots. Other than that it's all good. Shoots very well. The stainless frame seem to be one piece, therefore I would recommend stainless for only $100 more. I looked for a 1911 at a price I could afford. I grabbed this at $469! Best deal I could find! It’s a great entry level 1911. Especially for the price. I bought the gun as a gift for my husbands birthday; he loved it! The gun is wonderful in both the looks and performance. It’s not heavy which makes it easier to shoot with and it has excellent alignment when being shot. Would recommend to any one looking for a gun. The quality and the the slide to frame fit was tight and perfect. I own a Colt and Springfield 1911 and the R1 is as good if not better. Buy this weapon... you won't be sorry! This is pretty close to what I carried as a Lt. In Vietnam. Updated with the latest features. Shoots well, feels great, looks terrific. At this price can't beat it. There were several hangups during my first 100 rounds, which did not set well. However, I cleaned it again, touched up a couple of spots and just fired another 100 flawless, accurate rounds. It feels good and shoots straight. Service from GRABAGUN was outstanding. Very satisfied with this purchase. I highly recommend this pistol and GRABAGUN. 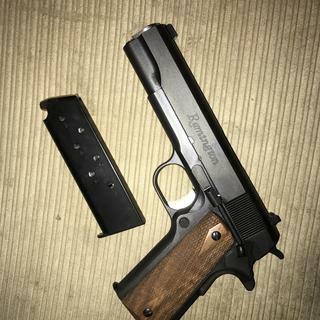 I love my Remington 1911R1! Fantastic value! Fastest shipping ever....ordered one day, arrived the next.Supper nice 1911! Very accurate shooter! It's a beautiful game and shoots so smooth! I love it. Nice gun for the money. Good value. Grab A Gun has done it again. Very nice Remington R1 for a very good price. The gun is a four star only because of the visible parting line on the frame casting. I think it could be finished better. But after 200 rounds, I have had one FTF and that was during the first 50 rounds. Accuracy is very good once you get use to the series 80 trigger pull. I have replaced the grips with some that commemorate my military service, but the original grips were very good. I like the gun a lot. And Grab A Gun's service is outstanding. I have higher end 1911's, but I do like this one as an everyday shooter. Very good value! Especially for a first time 1911 buyer. So we'll balanced for a cheaper hand gun. Thanks so much. I haven't as yet fired this pistol, but I like the feel and the action works smooth. The gun handles very good. The only reason for the lower rating is the first two magazines, the first bullet jammed. I am sure with more rounds shot it will get better. It works well and I like it. PERFECT PEOPLE TO DO BUSINESS WITH! First time ever ordering a firearm online and from Grab A Gun. I have to say I'm very pleased. In 2 days I got my 1911 and price was amazing! I've always bought from gun shows and academy and when I found out about grab a guns prices I couldn't believe it! Way cheaper than anybody else! FAST SHIPPING! AMAZING PRICES! Just got in my RPM 10RD mag today and again FAST shipping. Because of the great prices from these guys I will now only buy from them. Thanks grab a gun and god bless y'all! Always had good service from GrabAgun. Good prices as well. Strong kick but a great gun for sure! Good solid 1911, consistent shooter. This is exactly what i was looking for. Grab A Gun is top notch. fast shipping and you get what you paid for. Thank you, Ill be back. Everything I had hoped it would be. Remington makes a great product. Hard to beat this thing...or an 870 for that matter. Fit and finish are great. Action is smooth. Very pleased! Only thing that would be better would be for them to use the green case again. Accurate shooter. At $469 it is a bargain. No hiccups 100rds. non-stop shooting. I only gave it 4 stars because seams at the frame shows not enough finishing before the coating. The rest of the gun is smooth and coating applied is excellent. All in all this is a great reliable and accurate out of the box shooter at a bargain price! Still in the box, but the gun has a great feel. Great experience with Grabagun, had it in hand a day.... Awesome 1911! 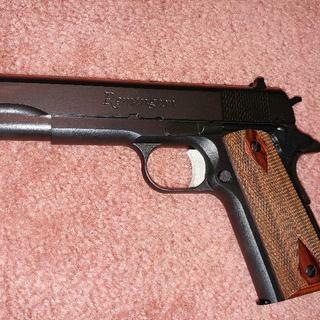 Love my Remington 1911R1 it is a great gun, it looks good, it feels good in the hand, it shoots great! I’m very happy with it. The price was great at grabagun also. The delivery was vert fast, I got the gun in one day! It was a great investment for me thanks. What a beautiful piece! 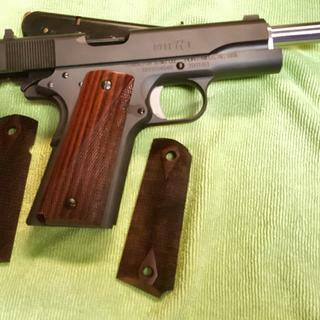 Like the stainless one I bought, this one came with some rather cheap looking grips too so put my Colt 1991 grips on and wow, now much better. Both great guns just cheap grips. Great price. Shipping took 2 days! 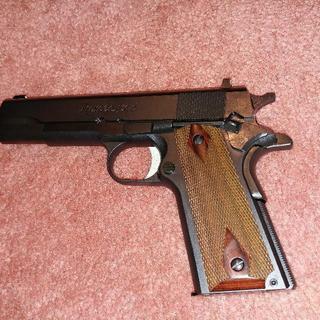 I instructed in the Navy in the 80’s using the Colt M1911, and this weapon feels and looks amazing. Haven’t fired it yet, but excited to. Delivery was prompt as soon as they had my FFL info. Great value for the money. Can’t beat it. Excellent machine work. No millimg marks. Very tight slide. The gun is reliable and accurate. This was one of the best deals I’ve ever come across getting the gun on sale at $299 plus a $100 rebate from Remington. 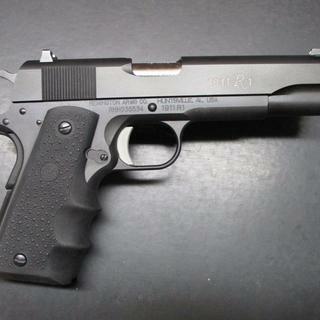 Remington Model 1911 R1 is a high performance upgrade of America's favorite pistol design. It features a dove tail front and rear three dot sighting system, a lowered and flared ejection port, series 80 firing pin block, stainless steel barrel and bushing, carbon steel frame and machined slide with walnut double diamond grips. This pistol is a workhorse that shoots accurately and functions flawlessly. Comes with two magazines.